Beatriz Soter began her journey as a bodyworker in 1995 when she started studying physical therapy. 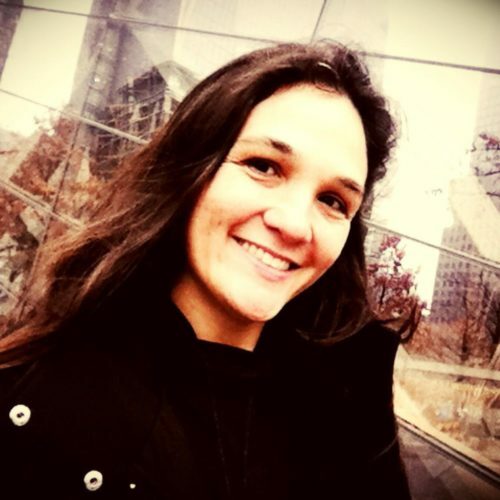 After graduating as a PT she started studying osteopathy in Rio de Janeiro, earning her D.O. from IBO (Instituto Brasileiro de Osteopatia). In 2003 she was certified in RPG (Reprogramacao Postural Global – a french type of bodywork developed by Philippe Souchard). After translating an Anatomy Trains workshop taught by Simone Lindner, she fell in love with the work and decided to get certified in KMI. Since 2014, she has been under Simone’s mentorship. She offers a unique view to bodywork due to her diverse background and her passion for helping people to heal.